SGPC on Sunday demanded return of rare manuscripts and literature looted by the Indian Army from the Sikh Reference Library during June 1984 army attack on Darbar Sahib, Amritsar. The Committee has decided to shift the Sikh Reference Library outside the Darbar Sahib complex as it gave nod for the construction of a new building for the library near Bhai Gurdas Hall. This is twelfth article under the "audio articles on June 1984 Ghallughara series". The present article is titled as: "Sikh Reference Library Di Tabhi". Indian Army chief Dalbir Singh Suhag maintained that the artefacts of the Sikh Reference Library were not in the possession of Indian army. SGPC has once again sought the return of rare manuscripts and historical documents that were taken away by the Indian Army from the Sikh Reference Library during June 1984 attack. Senior Advocate and Aam Aadmi Party leader HS Phoolka demanded return of rare manuscripts taken away by Army from Sikh reference library 31 years ago. A day after Punjab Chief Minister Parkash Singh Badal raised the issue of Sikh Reference Library, the SGPC has announced to boost up its efforts to get back precious treasure artifacts of the Sikh Reference Library. 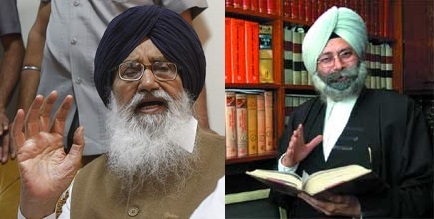 Punjab Chief Minister Parkash Singh Badal today said that his party government in the state was making persistent efforts with the Central government of India to bring back the books, manuscrits and other artifacts of Sikh Reference Library taken away by Indian army during June 1984 attack on Darbar Sahib (Amritsar).